You’ve been through a lot together. You and your better half have shared laughs and tears, hopes and dreams and gone through life’s ups and downs side by side. All the time you’ve spent together deserves celebrating. And, the perfect gemstone for honoring your lasting commitment is timeless amethyst. This symbol of regality and romance for thousands of years, is the perfect tribute to the deep love and longevity of your relationship. 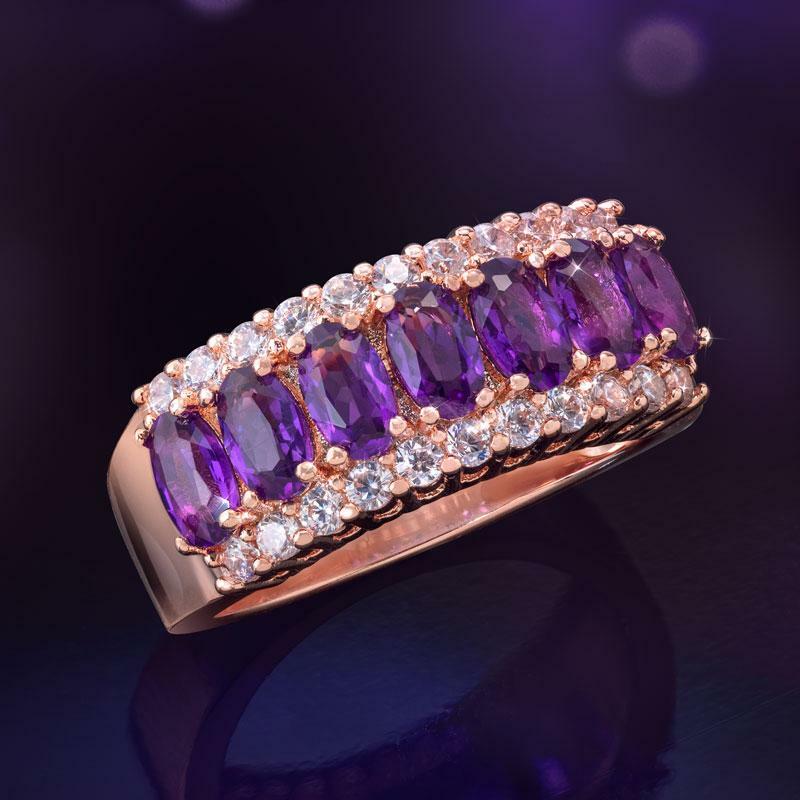 For the Amethyst Anniversary Collection we’ve arranged seven oval cut amethyst gemstones in rose gold-finished sterling silver settings and added the sparkle of DiamondAura® rounds. A beautiful way to let her know you’ve cherished every moment of your time together.